The Health Seekers Kitchen: Health Begins in the Kitchen: Book Review and Two Fabulous Recipes! Health Begins in the Kitchen: Book Review and Two Fabulous Recipes! 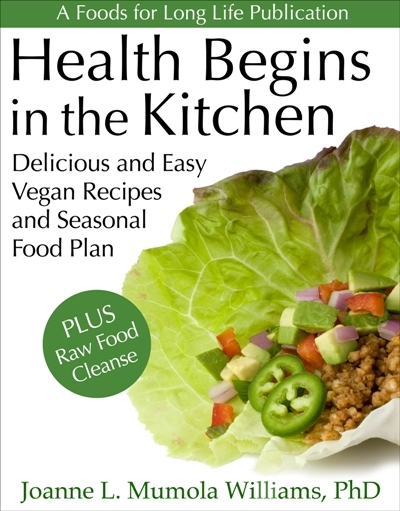 Health Begins in the Kitchen, by Joanne Williams, is a beautifully done eBook. I have been following Joanne for years and love her Plant-Based recipes, her gorgeous pictures, and the fact that she has a strong science and nutritional background. Joanne is driven and inspired by the belief that people can prevent and fight most diseases by the simple and joyful process of eating. She has a PH.D. in holistic nutrition and left a successful corporate career to challenge all her creativity, culinary passion, and scientific knowledge into developing healthy and delicious recipes. It is hard to believe she just had her 65th birthday, because she looks like she is at least 20 years or more younger than that!! (see picture at bottom of post) She weighs the same as she did in college, enjoys excellent health, and doesn't need any of the medications prescribed for most people her age. Joanne lives with her husband on their organic vineyard in California where they grow Russian River Pinot Noir grapes. Joanne's Ph.D. research topic was the "nutritional adequacy of a raw food vegan diet." The data continues to roll in about how eating ample amounts of fruits, vegetables, beans, whole grains, nuts, seeds, and good fats can help prevent and heal many of the serious health conditions plaguing our country today. She dedicates her blog, Foods for Long Life, and her new book to healthy raw and cooked vegan recipes. Her section of the book that provides a Raw Food Cleanse is probably one of the best I have seen. Health Begins in the Kitchen is very informative and perfect for those trying to learn how to adopt a Plant-Based Diet, as well those of us who have been eating this way for a long time. I hope you will try her recipes and consider adding this book to your collection. I know you will love it like I do. With permission from Joanne, I am sharing a couple of her recipes. The first one is Grilled Rosemary Portobello Mushrooms and the second a Raw Peach - Blueberry Crisp. These two recipes are so delicious. I tested them out on my family and they absolutely loved them. We used the Grilled Portobello Mushrooms for our burgers just the other night. The marinade with fresh rosemary was amazing!!! If you can't find Medjool dates for the crisp, use 1 1/2 - 2 regular dates for every Medjool date the recipe calls for. Medjool dates are larger, generally softer and sweeter than a regular date. Make a marinade by mixing the olive oil, red wine or vinegar, soy sauce, agave, rosemary, pepper, and garlic in a small bowl or cup. Carefully remove the stems from the mushrooms and set aside. Clean the mushrooms with a damp paper towel and place them in a large casserole dish. Brush the marinade on both sides of each mushroom. Pour the remaining marinade over the mushroom tops and marinate for 1 hour, turning occasionally. Heat the barbecue grill to medium hot. Place the mushrooms on the grill, gills up, brushing them with the remaining marinade. Cook until tender, turning several times, 10 to 12 minutes. Alternately, you can broil them in the oven for 12 to 15 minutes. Serve on a bed of her Creamy Mashed Yukon Gold Potatoes drizzled with Mushroom Gravy made with the stems of the portobellos or on top of her Creamy Polenta. 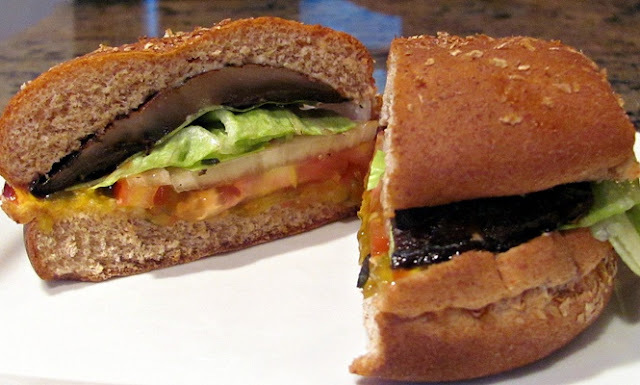 You may also serve these on a burger, on a toasted whole-grain or gluten-free bun with all of your favorite toppings. 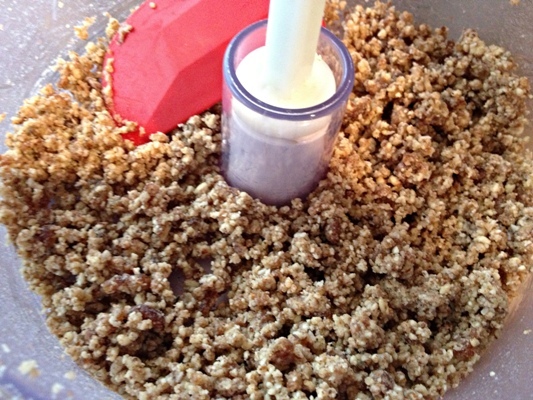 Make the topping: Place the almonds in a food processor fitted with an S blade and process until coarse. Add the walnuts, dates, coconut, cinnamon, and salt and process until the mixture begins to stick together. Place in a small bowl and set aside. Wash and dry the food processor. 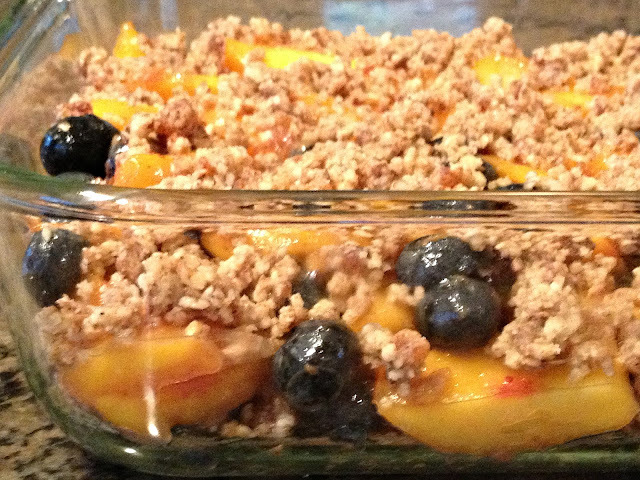 Make the filling: Place the sliced peaches and blueberries in a large bowl and toss together with produce protector or lemon juice. Place the chopped peaches, soaked and drained dates, and nutmeg in the food processor and process until smooth, scraping the sides down when necessary. Add to the bowl of sliced peaches and blueberries and toss gently. To make the crisp, spread one-third of the topping on the bottom of an 8-inch square baking pan. Cover with the filling. Sprinkle the remaining topping evenly over the filling. Serve immediately or cover with plastic wrap and refrigerate. I always prefer healthy plus taste foods. I’m so glad that I have found this post. Keep sharing. These recipes look amazing! So yummy!! I want that sandwich!